Remove the turkey from the refrigerator 1 hour before roasting. Preheat the oven to 425°F (220°C). 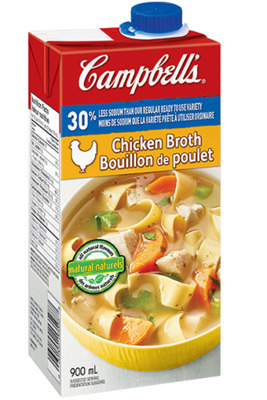 In a medium saucepan, over low heat, pour 1 carton (900 mL) of the chicken broth. Place the carrots, celery, onions, shallots and garlic in a large roasting pan and place a roasting rack on top. Put the turkey on the rack, lay bacon strips all over the turkey and place in the oven and roast until light golden brown, about 45 minutes. (Tent the turkey loosely with foil if it is browning too quickly.) Reduce the oven temperature to 350°F (180°C), baste with 2 cups (500 mL) of the warm broth and continue roasting, basting with remaining warm broth halfway through, until an instant-read thermometer inserted into the thigh registers 155°F, about 1 hour. Remove the bacon and begin basting with the maple glaze; continue roasting, basting with the glaze every 10 minutes, until an instant-read thermometer inserted into the thigh registers 160°F, about 20 more minutes. Remove the turkey from the oven and transfer to a large cutting board. Tent loosely with foil and let rest at least 45 minutes before slicing. Strain the drippings into a bowl and discard the solids. Add enough of the remaining chicken broth to make 6 cups (1.5L) liquid. Melt the butter in a medium saucepan over medium heat. Whisk in the flour, salt and pepper and cook until light golden brown, about 4 minutes. Slowly whisk in the broth-drippings mixture, then bring to a boil and whisk until the gravy begins thickening and the flour taste has been cooked out, about 10 minutes. Stir in the herbs and serve hot. To serve, reheat the remaining broth in a saucepan over low heat. Remove the legs and wings, then remove the dark meat and shred. Remove the breasts and cut crosswise into 1-inch-thick slices. Place the meat on a platter and ladle some of the warm broth on top. 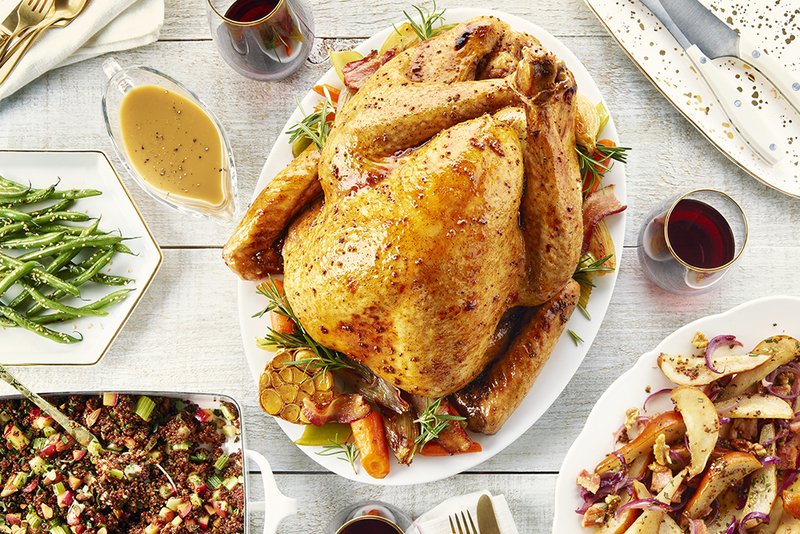 This recipe will also taste delicious using a smaller portion of turkey.